Ladies, take a look at these outfits and watch out, cause I believe that they will become your favorite looks! After seasons and seasons of skinny jeans, the boyfriend ones will give you a versatile and different look. Browse through the photos below and get some ideas on you to rock this combination. You have to admit that every outfit is unique in its own way. 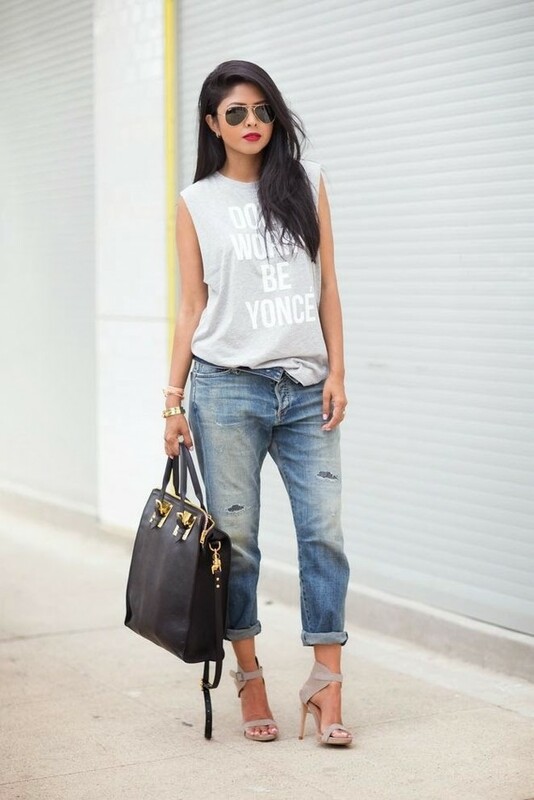 Here you can check out 15 Stylish Ways To Wear Boyfriend Jeans With Heels. Learn how to wear these baggy jeans. They look great when paired with everything, starting from a basic white T-shirt to a chunky sweater. The boyfriend jeans will give your outfit a comfortable and cute vibe. Although they have a masculine name, the heels are going to add a feminine touch to your look. In order to make a fashion statement, you have to keep in mind that heels are a must! It’s easy as 1,2,3. 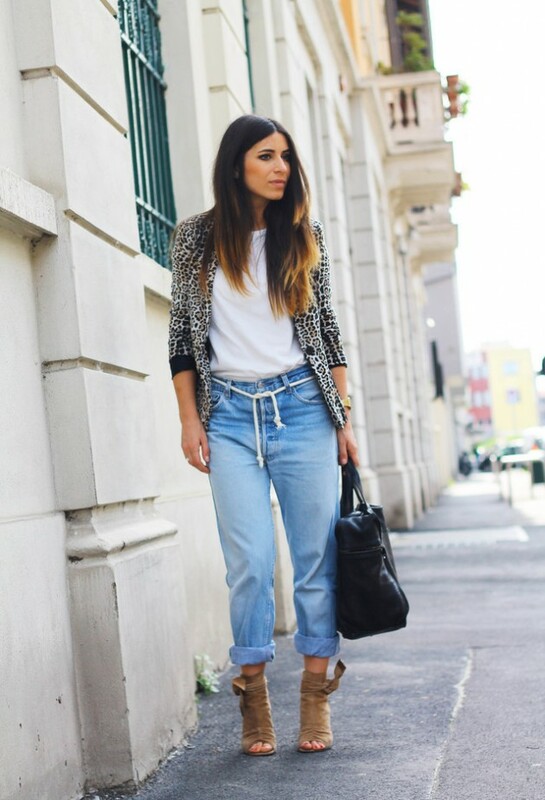 Team your boyfriend jeans with heels for a fun and dressy look. If you really want to show the heels off you should wear your jeans cuffed. 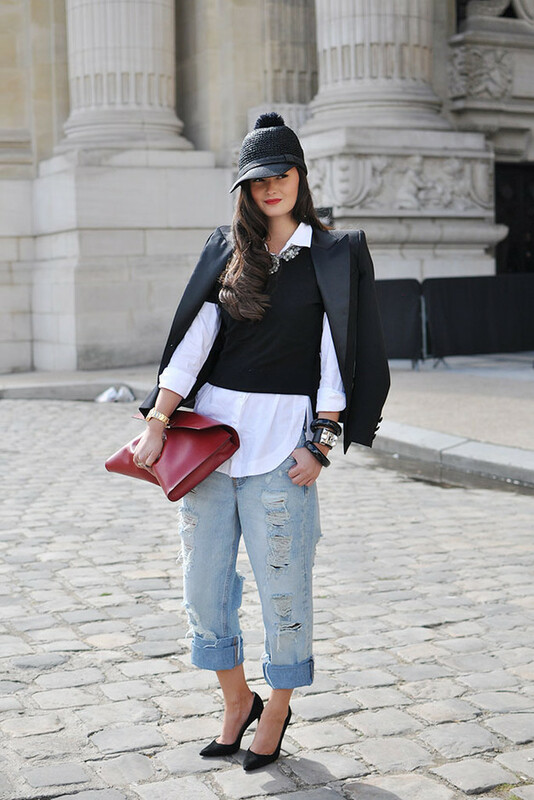 Pairing the jeans with heels is the easiest way to dress up the outfit. Go ahead, find inspiration in the photos and make your own unique outfit!